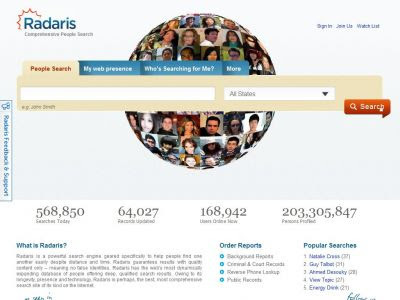 Radaris is a complete and free people search engine that aids people finding and connecting with anyone in US. A number of useful tools are available which aid users to connect with others, checking their background history or managing self-image online. Radaris is fully secured and gives privacy, conviction and security to the Internet world of social networking and media. Refined algorithms are used to crawl the website and it establishes links in every direction and hence easily combining a huge network of people. Radaris is a unique search engine which makes an easier connectivity with people, the information collected from a countless sources where search engines like Google and Bing cannot dig. The information is collected from public domain records like telephone books, public data feeds, phone companies or local exchange carriers. Radaris has four patents pending from a team of Computer science PhD’s, search engine experts. Its capabilities and features are far greater to be compared from other social networks. Its data library has 200 million plus real names and false identities are not a part of the database. Radaris provides easy facilities to find lost acquaintances and updates contact information as it changes. Further, it automatically looks for common interests or histories and builds dynamic networks and communities. Create an account to begin managing your online presence. 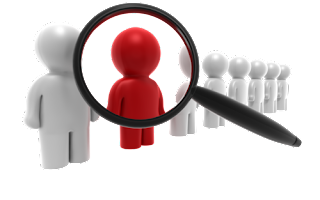 Search for someone using their powerful People Search. Monitor your presence on the web and find who’s searching for you with People Radar. Fine tune your online footprint through Information Removal. Promote your Radaris listing with My Business Card. Manage your online reputation with their expert Reputation Services staff. Radaris has thus proved itself a useful tool in searching people around the world no matter where your contacts are. It is in short an encyclopedia of people.